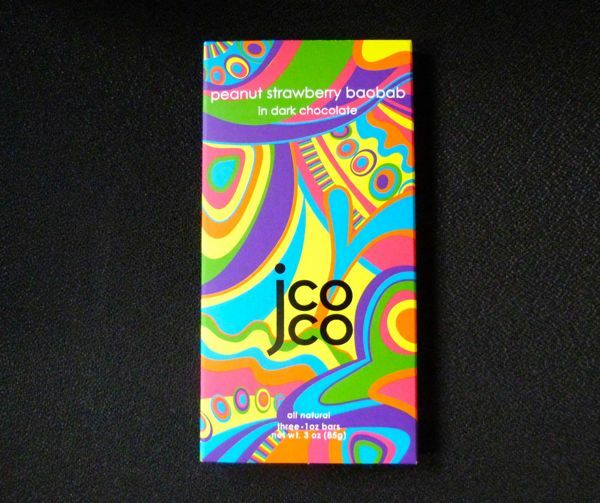 Today's brightly colored package of three smaller, individually wrapped, Peanut Strawberry Baobab in dark chocolate bars was from jcoco—a brand belonging to Seattle Chocolates (Seattle, WA). 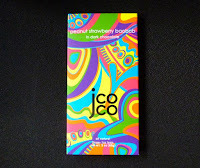 Baobab powder gave this dark chocolate bar a slightly fruity, tropical flavor that intermingled with strawberry and other fruit flavors. 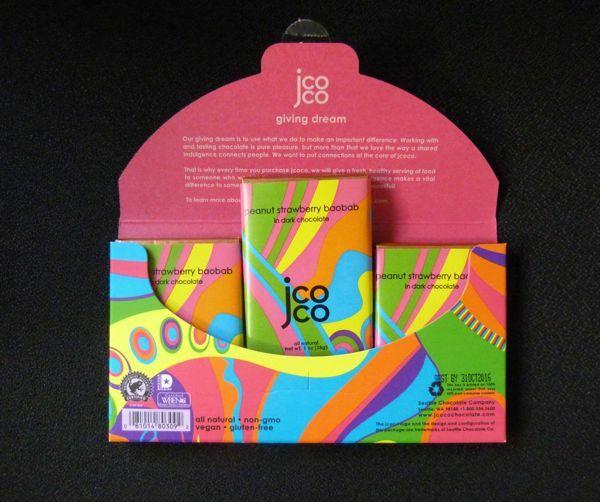 "Strawberry baobabs" in this bar were a blend of strawberry, plum, apple, apple juice, baobab powder, black carrot juice, citrus pectin, strawberry puree, rice flour, and coconut oil. 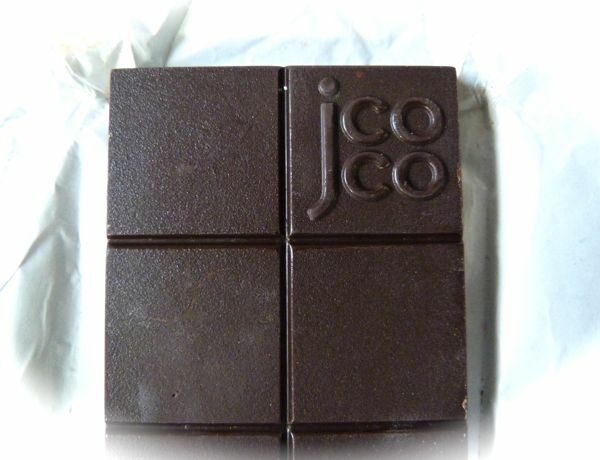 Peanut bits gave the vegan and gluten-free bar a soft, crunchy texture. And a darker, slightly earthy dark chocolate helped balance the sweeter fruit and nut flavors, and vice versa.